PL/SQL Developer focuses on ease of use, code quality and productivity, key advantages during Oracle application development. PL/SQL Developer will run on Windows XP, 2003, 2008, Vista, Windows 7, Windows 8 and Windows 10. The supported Oracle Server versions are 7.x, 8.x, 8i, 9i, 10g, 11g, 12c and 18c on any platform. 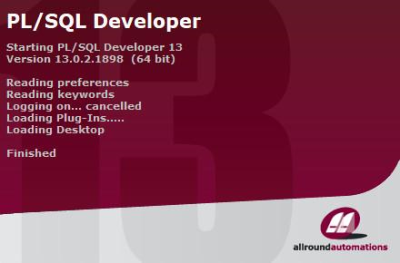 To connect to an Oracle database, the 32 bit PL/SQL Developer version requires a 32 bit Oracle Client and the 64 bit PL/SQL Developer version requires a 64 bit Oracle Client.